When it comes to super sports cars, there are few nameplates that inspire the same sense of exhilaration as Lamborghini. A veritable legend in the industry, Lamborghini has been pushing the envelope in terms of what a vehicle can be for decades. Now, our Dallas used luxury car dealership is proud to say that Lamborghini’s contemporary vehicles are some of the most advanced and best performing vehicles on the road today. The Lamborghini Aventador is a perfect example and, of course, you’ll find it waiting for you here at Starwood Motors. When designing a vehicle’s exterior, Lamborghini’s team always wants to craft a shape and style that is immediately identified as a Lamborghini, even at a distance. That is certainly achieved in the Lamborghini Aventador, which is unmistakable and impossible to miss at our Dallas dealership. Of course, the true heart of the Aventador is its V12 engine. This powerhouse is hand-built in Sant’Agata Bolognese with the utmost precision, ensuring perfect performance. With a mid-engine configuration, the powertrain is naturally balanced in a central position to provide better weight distribution. This allows for the impeccable handling that drivers have come to expect from Lamborghini. The same attention to detail is represented in the cabin, as well. From hand-finished interior appointments made from only the highest quality materials to an interactive TFT LCD display that takes its inspiration from modern aircrafts, the Lamborghini Aventador puts luxury and innovation at your fingertips. If you’re interested in sliding into one of Lamborghini Aventador models for a test drive, we offer you one simple warning: once you do, no other vehicle will ever feel the same. That said, isn’t it time that you claim the power and exclusivity you’ve been craving? 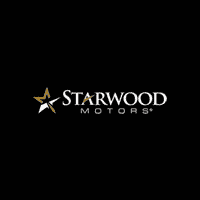 Contact Starwood Motors online or by calling (800) 348-9008 today to schedule a test drive of your own!